The St. Louis Cardinals system went 2-3 on Sunday. Player of the Day Delvin Perez’ first career home run and a strong outing by starter Eli Kraus helped State College break its eight-game losing skid. Recaps of games played on Sunday, September 2. With stellar pitching and just enough offense, the Redbirds enjoyed a 2-1 win over the Sounds in Nashville on Sunday. Memphis starter Jake Woodford earned his fifth Triple-A win with a quality start. Woodford turned in six innings of one-run ball before the bullpen took over. Tommy Layne pitched the seventh and eighth innings and recorded his fifth hold, and Edward Mujica logged a clean ninth for his 13th save. Shortstop Wilfredo Tovar drove in designated hitter Ramon Urias and second baseman Tommy Edman on a double in the top of the sixth inning. It was Tovar’s 15th double, and he is up to 47 runs batted in. Urias was 2-for-4 with a pair of doubles, and first baseman Rangel Ravelo, center fielder Lane Thomas, and right fielder Alex Mejia each had a base hit. 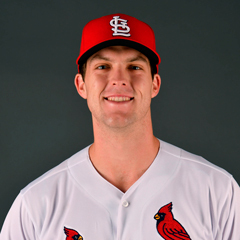 Monday’s game: Chris Ellis (6-4, 3.86) at Nashville Sounds, 12:05 PM Central time. The Drillers scored three runs in the fifth inning and four in the ninth to pound the Cardinals, 7-1, in Springfield. Starter Casey Meisner worked six innings and allowed three runs, all the result of a one-out, bases-clearing triple with the bags full in the top of the fifth inning. Meisner fanned eight Drillers batters but ultimately suffered his second loss of the season. Junior Fernandez pitched scoreless seventh and eighth innings before Hector Mendoza allowed four runs in the ninth on four hits, a walk, and a sacrifice fly. Left fielder John Nogowski provided all the offense with his 11th home run of the year. Of Springfield’s seven hits, Nogowski’s was the only one that went for extra bases. It was a rough day in the strikeout department for Springfield, with 12 collectively by the offense. Third baseman Evan Mendoza fanned three times, and center fielder Blake Drake, second baseman Stefan Trosclair, and catcher Ivan Herrera were punched out twice apiece. Monday’s game: Evan Kruczynski (2-2, 1.82) vs. Tulsa Drillers. 12:15 PM Central time. A quiet day at the plate by the Cardinals turned in to a 2-0 loss to the Flying Tigers on Sunday afternoon in Lakeland. The Cardinals totaled four hits total, with left fielder Dylan Carlson’s double and second baseman Irving Lopez’s two walks the highlights. Palm Beach went 0-for-11 with runners in scoring position and stranded seven runners. It was an all-hands-on-deck approach for the Cardinals on the mound. Ian Oxnevad worked two innings, followed by an inning from Colton Thomson. Austin Sexton worked the fourth and fifth innings and surrendered both Tigers runs, leading to his fourth loss. Jacob Patterson, Will Latcham, and Yeison Medina followed with a scoreless frame apiece to finish up the game and the regular season. The Cardinals first postseason game will be on Tuesday in Fort Myers at 5:30 PM Central time. The Chiefs led off with a run, but they were held quiet the rest of the game. With two runs across the eighth and ninth frames, the River Bandits enjoyed a 2-1 win on Sunday. Third baseman Yariel Gonzalez doubled and scored on an error in the top of the first inning for what turned out to be Peoria’s only run. Gonzalez was 2-for-3 and left fielder Andres Luna went 2-for-4 with a double. 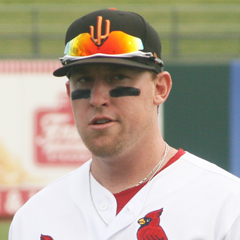 Center fielder Nick Plummer drew two walks, and the Chiefs stranded seven runners. Starter Angel Rondon turned in a very solid outing of 7 1/3 innings with seven strikeouts and just two walks. The River Bandits finally cracked him in the eighth, as Rondon surrendered one run before Kodi Whitley took over. Whitley allowed a run in the bottom of the ninth and took his second blown save and second loss of the season. Monday’s game: Jake Dahlberg (4-2, 2.93) at Quad Cities River Bandits, 1:15 PM Central time. Eight runs across the final three frames propelled the Spikes to a 9-1 victory in Williamsport over the Crosscutters, ending State College’s eight-game losing streak. 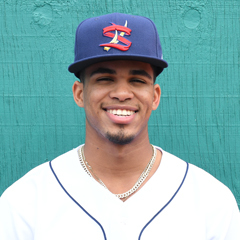 Spikes shortstop Delvin Perez, our Player of the Day, drove in five runs. Perez went 3-for-5 with two doubles and his first home run of his three-year pro career. Center fielder Wadye Ynfante and third baseman Stanley Espinal also went yard in the Spikes’ nine-run burst, while first baseman Brady Whalen and catcher Matt Duce each scored a pair of runs. Eli Kraus started for State College and logged six scoreless innings, resulting in his third win in five decisions. He allowed just four hits, one walk and fanned six. 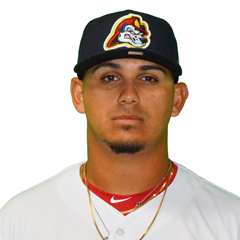 Reliever Edgar Gonzalez earned his fourth hold after pitching the seventh and eighth innings before Kevin Hamann turned in a scoreless ninth. Monday’s game: TBA at Williamsport Crosscutters, 12:05 PM Central time.